A triangle is a polygon with three sides that may be equal or unequal. The surface area of a triangle is the total area of the surface within the boundaries of the triangle. Surface area is expressed in square units, such as square centimeters or square inches. Calculating the surface area of a triangle is a common geometry function. Measure the three sides of the triangle. The longest side is the base of the triangle. If the triangle is on paper, you can label the base with the measurement; otherwise, write your base length on a notepad. Measure the height of the triangle. 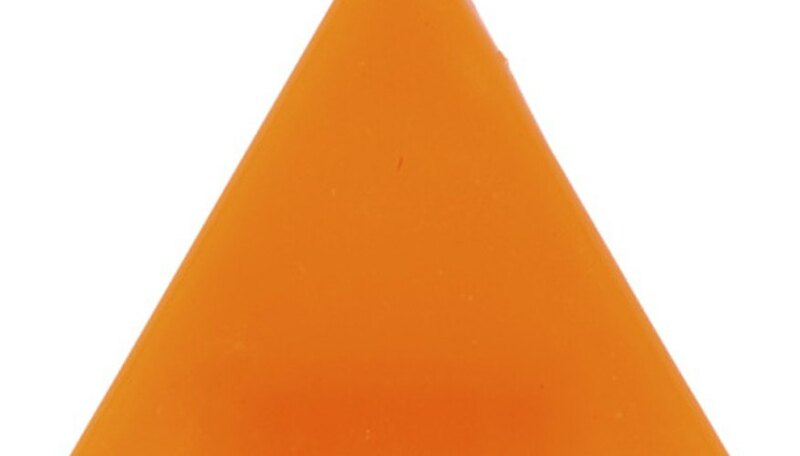 The height is the distance from the base to the highest corner of the triangle. The height line is perpendicular to the base and intersects the opposite corner of the triangle. Draw this height line on your triangle, if possible, and label the measurement. The height line will run through the interior of the triangle. Multiply the base length by the height. For example, if your base measurement is 10 cm and the height is 6 cm, the base multiplied by the height would be 60 square cm. Divide the result of the base times height by two to determine the surface area. In the example, when you divide 60 square cm by two, you have a final surface area of 30 square cm. Use the same units of measure for the base and height. Barnhart, Tracy. "How to Find the Surface Area of Triangles." Sciencing, https://sciencing.com/surface-area-triangles-8506172.html. 24 April 2017.